Fresh apricots are available locally for a brief, but glorious season. They shine in this European-style rustic tart or galette. Toss the apricots, sugar, and cornstarch in a bowl. Roll out the pie crust and transfer to a baking dish (I recommend using parchment paper or nonstick aluminum foil so the tart doesn’t stick). 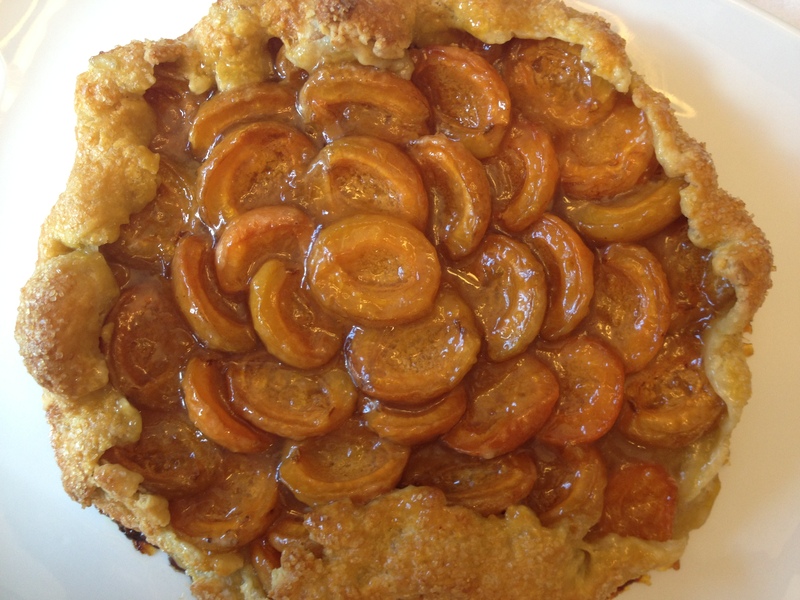 Arrange the apricots on the crust and fold the edges around. If the apricots are falling over and pushing the crust out, you can use toothpicks or skewers to hold it together while baking. Use a pastry brush to coat the top of the pie crust with the egg. Sprinkle the egg-washed crust with coarse sugar. Bake for 60-70 minutes at 350F. Allow tart to come to room temperature. Mix apricot preserves with water to form a glaze. Using a pastry brush, glaze the apricots with the preserves mixture. Enjoy!